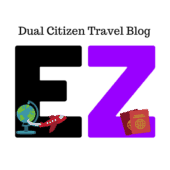 Before you start looking for the best cruise deals online, better start searching for the best cruise destinations first. 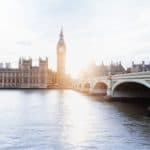 Whether the cruise destinations are part of the famous cruise routes, around the world cruises or part of the repositioning cruises these destinations will definitely worth travelling to! Cruising is a convenient way of travelling and exploring different countries. Cruise ships nowadays are literally a floating city! You will never run out of something to do inside the cruise ship. Read this post that I made about the various activities on sea days! Of course, other than admiring the interior of the ship, the various cruise excursions are also available to enrich your cruising experience. So I asked my fellow travel and cruise bloggers to share their pick for the best cruise destinations in the world. 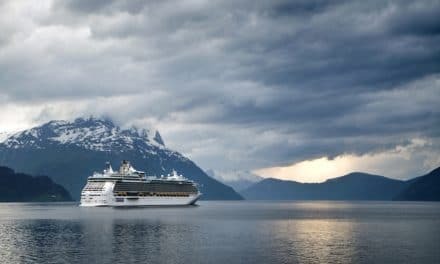 Read their recommendations below of various destinations of the top cruises in the world and see how many of these destinations you have been or would like to do on your cruise. Another way of exploring the UK and its beautiful landscape is thru cruising around the British Isles. 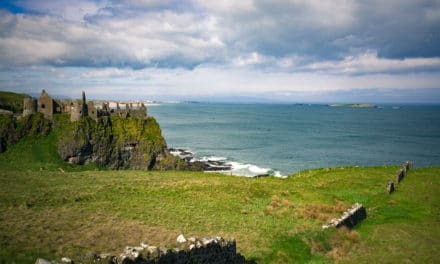 I recently went cruising with Princess Cruises on Royal Princess around the British Isles and see the magnificent highlights of the UK and Ireland. Waking up in various places around the UK each day was such a relaxing and convenient travel experience. 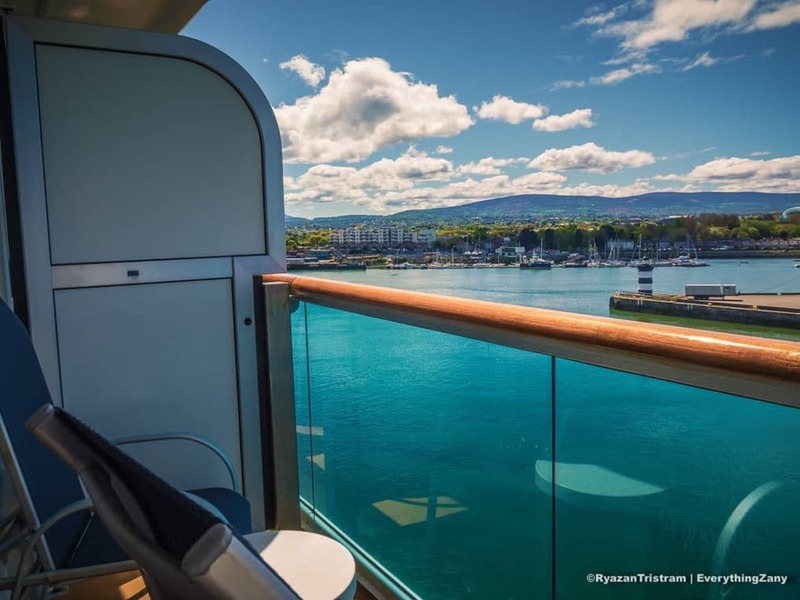 British Isles cruise starts from Southampton on to Jersey, Cork, Dublin, Belfast, Glasgow, Inverness, Edinburgh, Le Havre and back to Southampton. Each port of calls gave us a rich experience and an opportunity to witness the grandeur of medieval castles, historical places, rich cultural traditions and endless British and Irish landscapes. If you’re in search of something a little out of the ordinary then look no further! 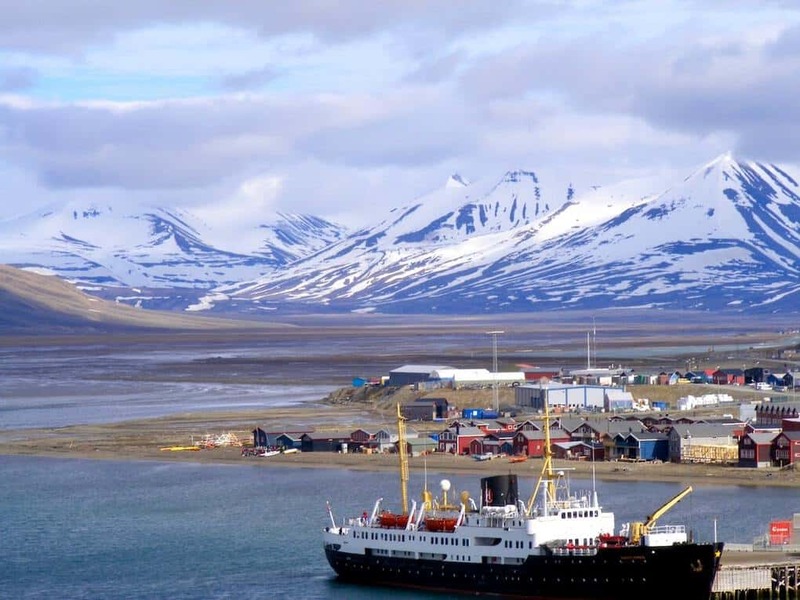 An Arctic cruise to Svalbard may be just the ticket. Quite literally breath-taking, Svalbard is full of incredible sights and fascinating destinations. Just a stroll in the largest settlement of Longyearbyen leaves you in awe. Encased by snow-topped mountains it’s a wonder to behold and home to some of the friendliest people on the planet. Also a hub for science and research, Svalbard is a natural sanctuary for wildlife, home to an array of animals from the nimble arctic fox to the mighty Polar Bear. There are lots to see and a trip to the Svalbard Museum located next to the University Centre is a must and promises to be an educational visit like no other! Huskies and Reindeer are also in abundance and there will be many opportunities to spot the unique Svalbard Reindeer! The wow factor doesn’t stop there as the sail out from Svalbard is truly spectacular and not to be missed. As close to the North Pole as you’re ever likely to get, it’s a truly awe-inspiring destination not to be missed. As part of our Iberian cruise, we visited three destinations in Portugal (Oporto, Lisbon and Portimao), two in Spain (Malaga and Cadiz) as well as Gibraltar. The highlight for me was visiting Oporto, which is the home of port wine. It is situated on the river Douro in the north of Portugal. Its popular Ribeira district is considered to be a UNESCO world heritage site. It’s easy to see why, as the area is full of picturesque colourful houses, restaurants and churches. 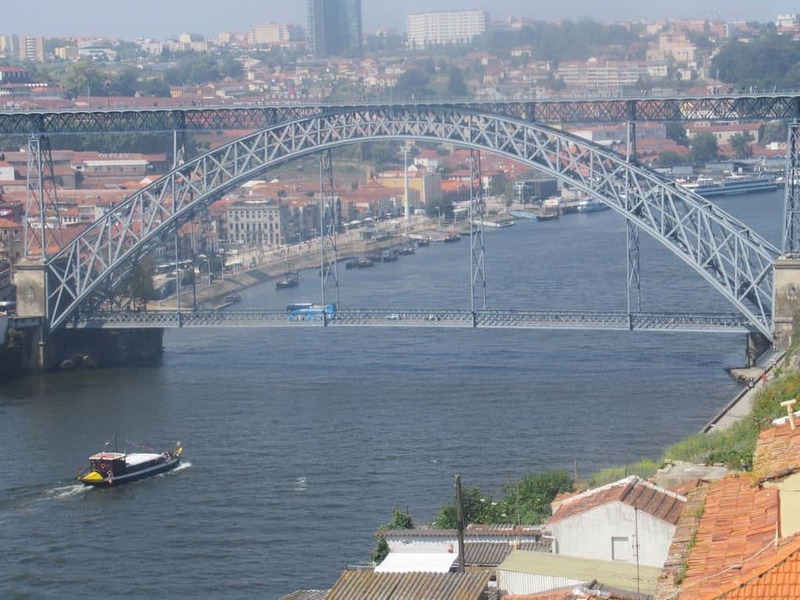 Some of the best views of the city can be found from the middle of the Dom Luís I Bridge, which has connected Oporto to Vila Nova de Guia since 1886. I would recommend this cruise partly because it gives you an overview of Portuguese culture. Porto has a British influence because of the port wine merchants and sellers from the UK that settled there. Lisbon, the capital, is vibrant with a range of historic districts to explore and Portimao is a beautiful village situated in the Algarve close to the resort and beach of Praia de Rocha. 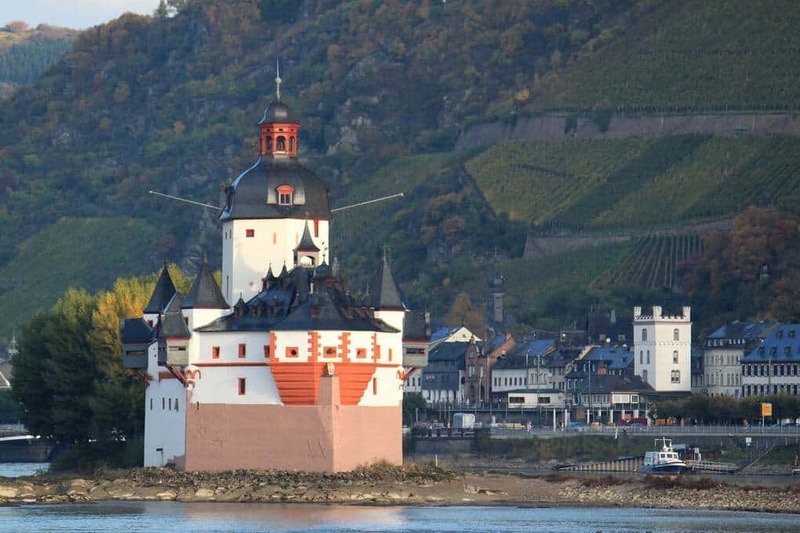 One classic river cruise experiences are cruising the Rhine River typically between Basel Switzerland and Amsterdam in one direction or the other. Some shorter options are available but the entire navigable portion of the Rhine takes about 8 days and includes stops in cities like Strasbourg, Mainz, Koblenz and Cologne. It also usually offers an excursion to Heidelberg from Meinz. The ship will often stop in smaller towns as well as Breisach, Speyer and Rüdesheim. The countryside you sail through is beautiful and the towns are historic. Several stops along the way are designated UNESCO sites including Cologne’s cathedral, Strasbourg’s old town, Speyer’s cathedral, Amsterdam’s Ring Area and the Upper Middle Rhine Valley. It is that Upper Middle Rhine Valley with its castles that will probably leave the biggest impression on you. We traversed this area on a cool October day. Passengers huddled on the top deck to take pictures of the many different castles in the area as they rose out of the fog along the river. This is not an unusual cruise. It may be the same one your dear aunt took before she stopped travelling, but there is a reason that this region remains popular with cruise passengers. The cruise touches on 4 different countries: Switzerland, France, Germany and the Netherlands. It does so by only visiting the pretty parts of each. Summer is a perfect time to board a big cruise liner and visit Scandinavian and Baltic countries. There are several itineraries and tours from 7 days to 2 weeks during that time tourists visit at least 4 cities in 4 countries; Stockholm – Sweden, Helsinki – Finland, St.Petersburg – Russia and Tallinn – Estonia. Longer cruises include Copenhagen – Denmark, Oslo – Norway and Berlin – Germany. Baltic cruise is a great way to see several northern Europe capitals. 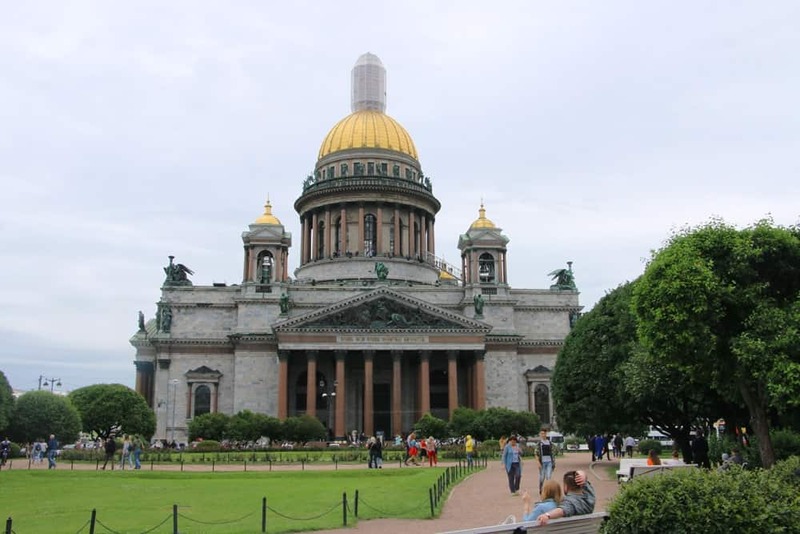 Nice bonus all passengers get a visa-free entry to Russia in the port of St.Petersburg as a part of group tour. Depending on what ship you board and what cabin type you choose it can be either a budget holiday or a luxury romantic trip. Most ships have a huge entertainment area with bars, restaurants and nightclubs inside and big swimming pools outside. The itineraries planned the way that you move from place to place mostly during nights and stop at the different port during days. You can book all your land excursions in advance, let a company plan everything for you and just relax and enjoy your holiday. Baltic cruise is a great chance to see and compare different countries and cities of the region and maybe to visit some of them again but next time more extensively. For most people cruising the Eastern Mediterranean brings to mind stunning sail-away from romantic old Venice and exploring picturesque Greek islands such as Santorini. Yet, if you rush from Venice to the Greek or Turkish shores, or sail out of Athens even, you’ll miss out on the beauty of the Adriatic coast. The Adriatic, especially the southern Dalmatian coast of Croatia offers stunning living cities that are Unesco world heritage sites, full of Roman and Medieval history. Neighbouring Montenegro has my all-time favourite, secluded port of Kotor. The captivating sailing to this town is the closest thing to Norwegian fjord I have ever experienced – though it actually is a ria, not a fjord. Mr Vegancruiser being a geek boy appreciates the nearby Croatian ports of Dubrovnik and Split, though I am a big fan too. 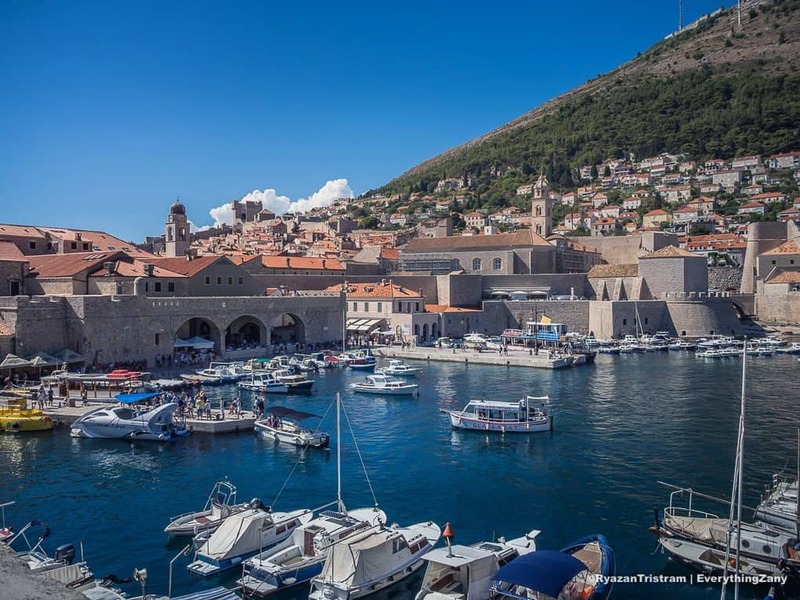 Dubrovnik and Split were used for as locations for Game of Thrones (various GOT walking tours are available). Star Wars: The Last Jedi used Dubrovnik for shooting too, for her stunning architecture. The Adriatic offers other less frequented ports such as Sarande in Albania which for many years (while under communist rule) was closed off for western tourists. There’s so much more to Eastern Med than just Greek islands! The Norwegian Fjords are spectacular, we have cruised extensively and this destination still sits at the top of our favourites list. Norway’s coastline has 63,000 miles of twisting land and over 1000 fjords and is no doubt one of the most beautiful countries in the world. 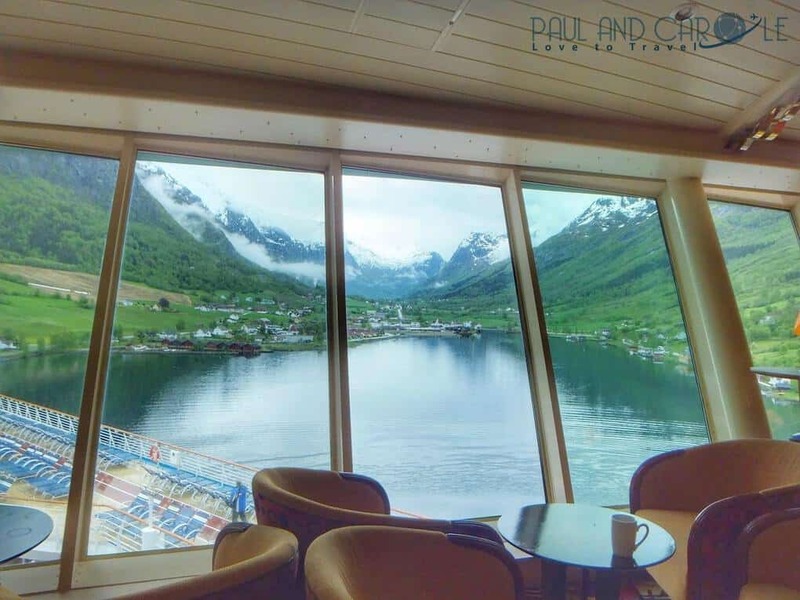 Cruising is an ideal way to see this part of the world as it can be very expensive on land, so we enjoy exploring Norway by day and enjoy the dining and entertainment back on board. In some ways, a Norwegian Fjords cruise has elements of a river cruise with constantly changing scenery which is just stunning. For mobility impaired cruisers like our father’s you don’t always have to get off the ship to really appreciate its beauty and if you travel right to the north you may be lucky and catch the Northern lights too! We have another cruise booked to Norway later this year and we are sure it will not be our last! If you are exploring more of Norway, you can check out this great guide to Bergen. A 14-day roundtrip cruise to the Western Mediterranean from Southampton is a popular summer itinerary. Southampton is less than 2 hours from London, so is very accessible. After a few days at sea, the first port of call will be either Gibraltar or Barcelona, depending on cruise line. Gibraltar is famous for The Rock, which is accessible via a stunning cable car ride. At the top, as well as stunning views, the famous Barbary macaques are bounding around to greet you! Barcelona is famous for Gaudi’s Sagrada Família, and another popular spot is Las Ramblas, with a multitude of shops, market stalls, and restaurants. Civitavecchia is a port most people on a Mediterranean cruise will visit. From here you can catch a train or bus to Rome, and visit the many sights, including The Vatican, The Colosseum, and the Trevi Fountain. At Livorno, you can catch a bus to Pisa or a train to Florence, to see the magnificent architecture and admire the art history. Genoa has narrow streets to explore and some wonderful churches and art galleries. The aquarium is great for families. By boat, you can visit Portofino, with its picturesque harbour, colourful houses, and shops. In Marseille, the scenic Old Port is lined with little boats. The Little Tram will take you up to Basilique Notre-Dame-de-la-Garde. Going through the Panama Canal is a classic cruise route that makes is such an incredible experience. Transiting across continents between the Atlantic and Pacific Oceans is the world’s best shortcut and such a memorable cruise. A full transit of the Panama Canal is typically part of a two-week cruise. The actual transit day is an all-day affair. The highlight is going through a series of three complex lock systems that are engineering marvels. During the process, the sides of the ships are within inches of the shore during this tight squeeze! The remainder of the big day is a relaxing sail right through Panama’s lush jungle. Many tropical birds soar overhead and you gaze into the thick canopy of trees that loom ashore. The ports of call vary greatly with each Panama Canal cruise. A common route for a full transit is from Florida to California, or the reverse of that. On the Pacific side of the itinerary, popular ports tend to be Puerto Vallarta, Mexico and Puntarenas, Costa Rica. 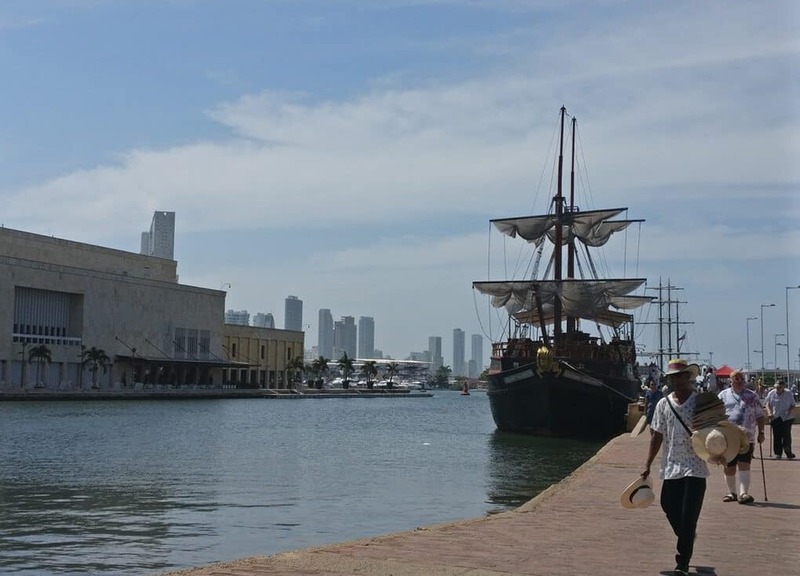 On the Caribbean side, Colon, Panama is a frequent port, as is Cartagena, Colombia. Panama Canal itineraries are usually more exotic than typical Caribbean routes, although many island favourites, such as Jamaica or the Bahamas, are still called upon on the way to or from Florida. We are lucky that we live close to the State of Florida. There are many great (and sometimes, great deals on) cruises that start and end in the state. Last year, we boarded the Carnival Valor to do a seven-night cruise to several Caribbean and Central American locations. 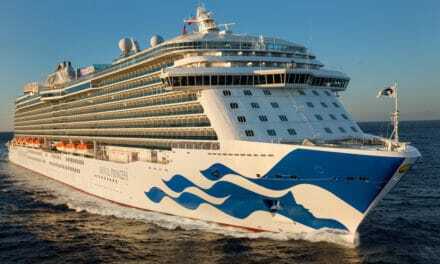 The all-inclusive cruise started in Cape Canaveral near Orlando. We visited Mexico (Cozumel and Costa Maya), Belize (City), and Honduras (Roatan) before heading back to Florida. So, what were the highlights of these Central American Ports of Call? We are avid scuba divers, and we managed to dive twice in the world’s most famous location for scuba diving. Cozumel and Roatan dives were very enjoyable for us. And if diving’s not your thing, there are many other excursions you can arrange that are also lots of fun. We were travelling with our parents (a cruise is a great way to travel with ageing parents!) and we had two excursions with them while on the cruise. We managed to do an urban exploration in Belize City and a visit to some ancient Mayan ruins in the Yucatan Peninsula. Both are very enjoyable and easy to arrange. Central American cruise Ports of Call are definitely worth considering to add to your bucket list! 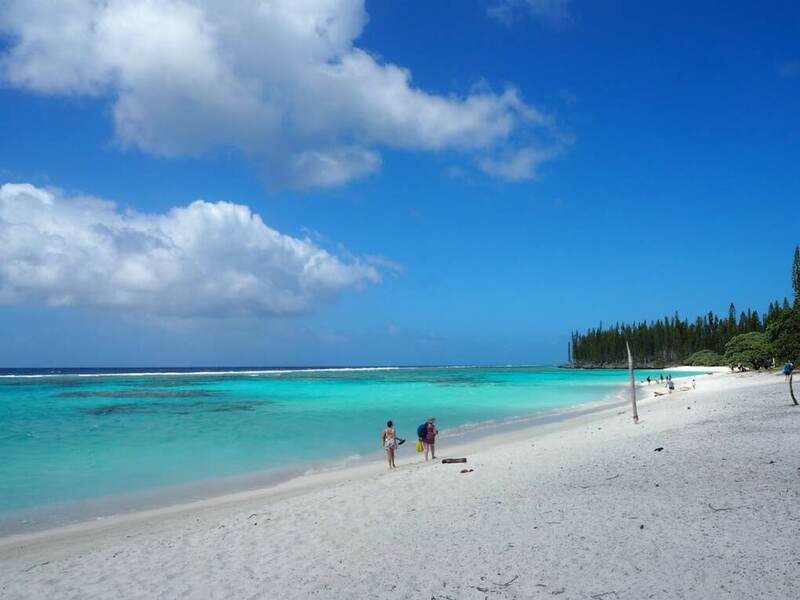 My absolute favourite Caribbean Cruise itinerary is the Dutch Southern Caribbean, otherwise known as the ABC Islands; Aruba, Bonaire and Curacao. On a recent cruise, we enjoyed each port immensely, in large part because they each have their own unique brand of Dutch charm. Aruba is the most bustling and vibrant of the three islands. This is the place to enjoy busy beach activities or take in the sights on colourful tour buses and jeeps. We enjoyed a great beach day at Palm Beach where some of our group went Banana Boating. Bonaire is a total contrast to Aruba, less developed with a quiet vibe where ocean life is the absolute highlight. While in Bonaire we did a wonderful catamaran snorkelling excursion that we booked through the cruise line. In the port area where there was a market set up with local items like bath salts, hot sauces and crafts. 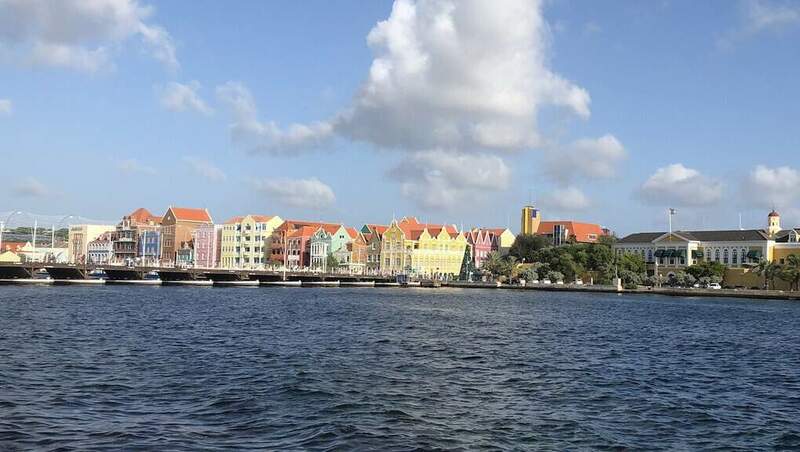 Curacao, a UNESCO World Heritage Site, is totally charming. It is the home of the Queen Emma Pontoon Bridge (yes, it swings! ), Blue Curacao Liqueur and the Mikvé Israel-Emanuel Synagogue, the oldest surviving synagogue in the Americas. We went to the local Mambo Beach in the morning followed by a walk around the city centre to see the main sights. 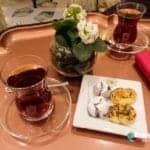 I highly recommend this itinerary and hope you enjoy it as much as I did. 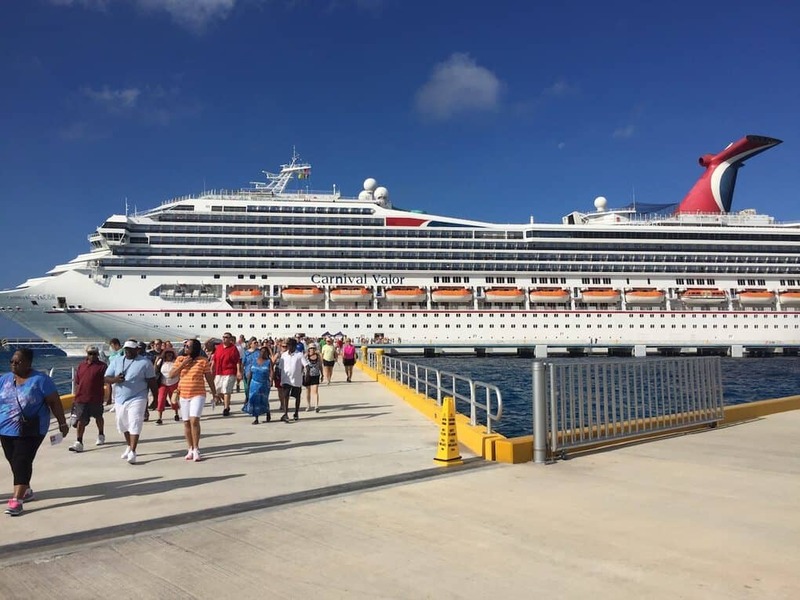 We recently did a Carnival Cruise of the Western Caribbean taking in Ocho Rios in Jamaica, Grand Cayman Island and Cozumel in Mexico. The cruise was for 7 days and embarked and disembarked from New Orleans. The cruise has 2 full days at sea then 3 consecutive days in the port stops and then heads back to New Orleans with another 2 days at sea. I was impressed with Celebrity Cruises as we were able to have all 5 of us in one room and the room was a relatively good size, it also had 2 bathrooms so just perfect for larger families. There were plenty of choices for onshore excursions and it was very organised when arriving at the port. Onshore excursions are expensive but definitely worth experiencing. There are many cruise ports in the Western Caribbean but this particular itinerary featured stops at Labadee in Haiti, Falmouth in Jamaica and Cozumel in Mexico. 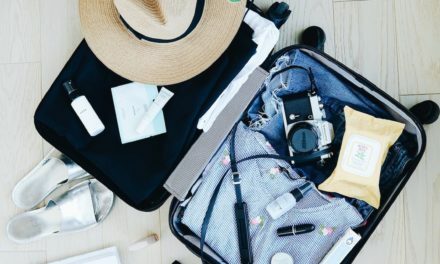 I would recommend this itinerary for anyone who wants to relax and recharge. Labadee, Haiti: Labadee is one of the private resorts/islands that is owned by Royal Caribbean. But beyond the idyllic looks the sheer size of the island is truly something to behold. 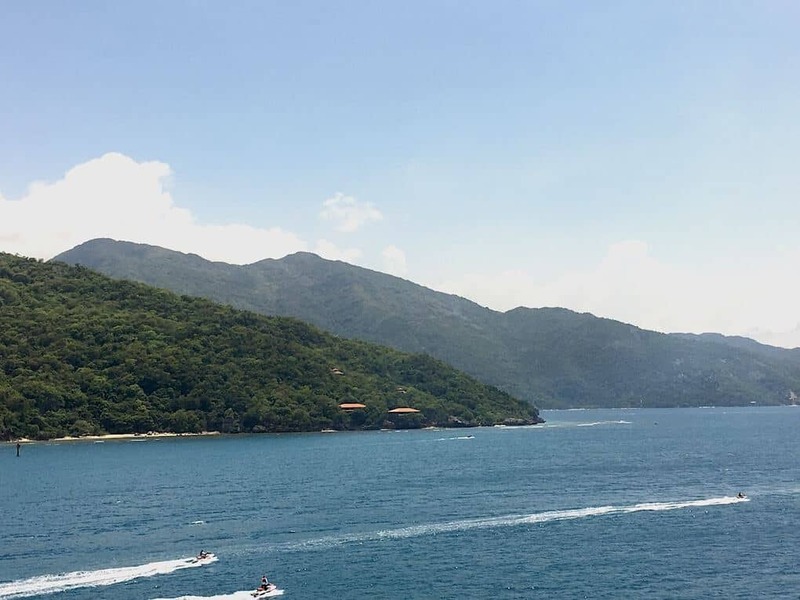 Labadee has an array of different beaches, a craft market, a water slide, a roller-coaster and a zip line. Falmouth, Jamaica: Now it is said that exploring outside of the port in Falmouth is not encouraged due to high crime rates. You can, of course, go on an excursion or explore the port. Falmouth cruise port is a 32 acre gated facility serving cruisers only. Much of what is on offer is jewellery stores but it was still a fun way to pass a few hours. Cozumel, Mexico: Cozumel is surrounded by the classic opaque waters of the Caribbean and is seen in two ways: As both a party port and a place to relax on a white sand beach. But just in case neither of those things appeal to you, it is also a great place to grab a bargain! If you are doing a Western Caribbean itinerary this is the best place to pick up souvenirs. One of our favourite cruise destinations was when we visited the U.S. Virgin Islands on a 7 day Caribbean Disney Cruise a few years ago. It was a round trip out of Port Canaveral, FL and the ports of call were: St. John/St. Thomas, Castaway Cay, Bahamas, Nassau, Bahamas and St. Maarten. All of the ports we stopped at were very enjoyable, yet we loved the beaches in St. John’s Trunk Bay. Once we arrived in St. Thomas, we walked around the downtown area and then took a ferry over to St. John. It was very inexpensive and took about 20 minutes. We sat on the top deck during the ferry ride and enjoyed gorgeous vistas of the Caribbean islands. Once we docked, we took a taxi to Trunk Bay and stayed for a few hours relaxing and swimming in the crystal blue waters. Snorkelling around Trunk Bay was amazing. We only did a short section of the 650 Underwater Trail, but the whole family saw colourful fish and beautiful coral. I must admit that it was kind of touristy, but the white sand, mountains and clear water made it worthwhile. Also, another thing to note is that the beach in Trunk Bay is run by the National Park Service, so there is an entrance fee. I highly recommend a day trip to St. John if your cruise ship docks at St. Thomas. 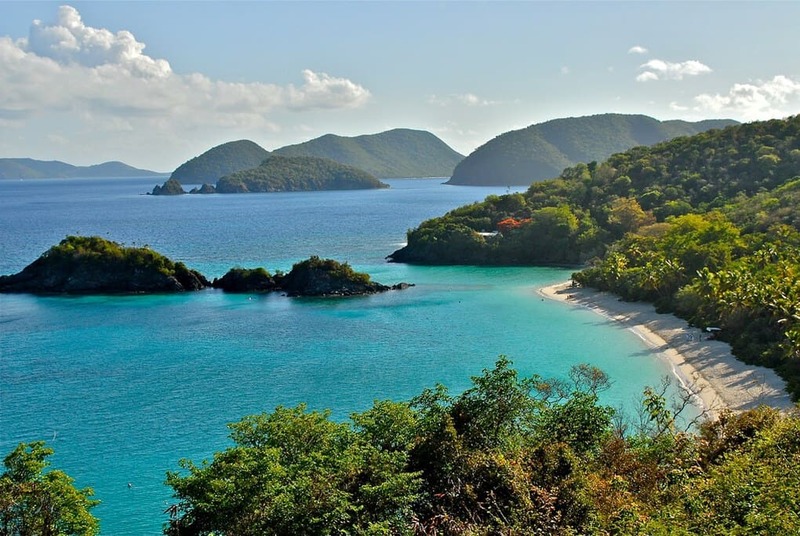 We can’t wait to return to explore more of the Virgin Islands. 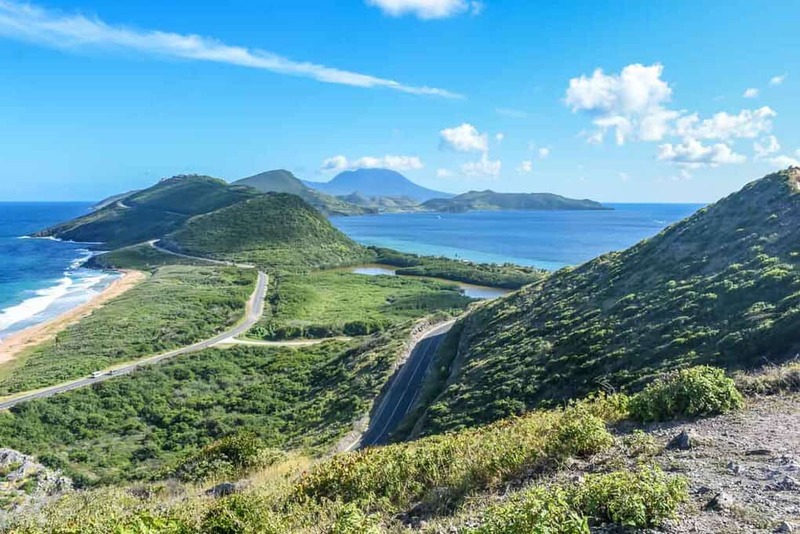 St Kitts, the larger island of the smaller Caribbean nation St Kitts and Nevis, is a beautiful island steeped in a bloody history and primed for photographers and beachcombers alike. After our ship, the Regal Princess, docked in Basseterre, we actually hired a car and found it to be a great way to see a lot of the island in a day. (If you just want to have a relaxing day on the beach, a taxi will probably be easier). Explore the grounds of historic Brimstone Hill Fortress that has changed hands many times between the French and British throughout its history. And for good measure, check out that view! The fortress was my highlight of our cruise day on St. Kitts. There are also a couple of incredible lookouts on Sir Timothy’s Hill that looks north over Basseterre or south over South Frigate Bay. South Frigate Bay offers a multitude of water sports or head to Cockleshell Bay for a slightly more relaxing atmosphere. From London, the cruise sails south into the Atlantic, and four days later we reach the first port of call at the Portuguese capital of Lisbon, before a stop at Funchal, the capital of Madeira and the birthplace of Ronaldo. It is then seven days at sea, before a Calypso welcome to Bridgetown and the capital of Barbados, where the harbour is crammed with boats of all shapes and sizes, and surrounding us are soft sandy beaches. The next day we are on to St. Georges on the small Caribbean island of Grenada, which is known as the “Spice Island” for its nutmeg plantations, but also beautiful golden beaches. Next stop is Cartagena in Colombia, a World Heritage Site due to its many historical buildings and castle fortifications. 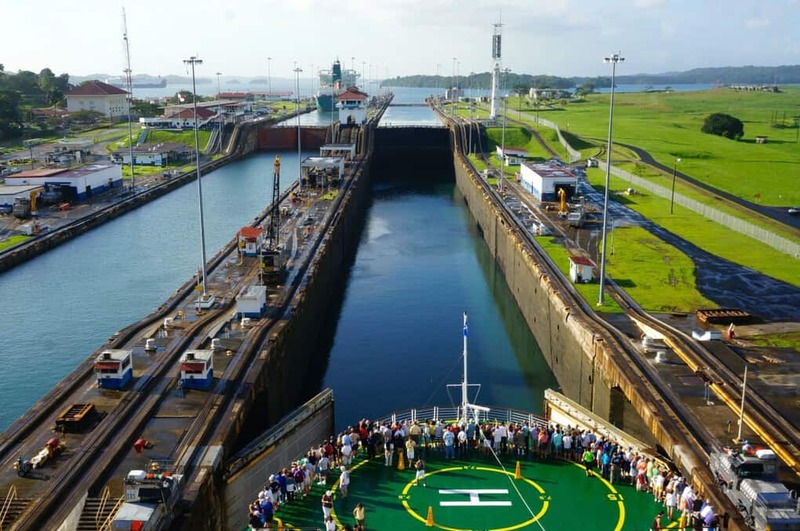 Then finally, following a stop at Cristobal, we enter the Panama Canal, a 50-mile waterway of locks and lakes which connect between the Atlantic and Pacific Oceans. The easiest way to see the highlights of Alaska is by taking a cruise. Leaving Vancouver, BC you will be able to enjoy the Inside Passage. As you make your way from port to port you will have the chance to see wildlife and rugged scenery of the coast, making the extra cost of a cabin with a view is worth it. Throughout the cruise, you will visit small and charming coastal towns including Ketchikan, Icy Strait Point, and Juneau, that thrive off the seafood industry, especially salmon. You can also learn more about the local tribes and their iconic totem poles. At the Hubbard Glacier, you will be able to watch and experience the largest tidewater glacier in North America crash into the ocean. At the end of your trip, you arrive in Seaward where you choose how long to keep the adventure going. 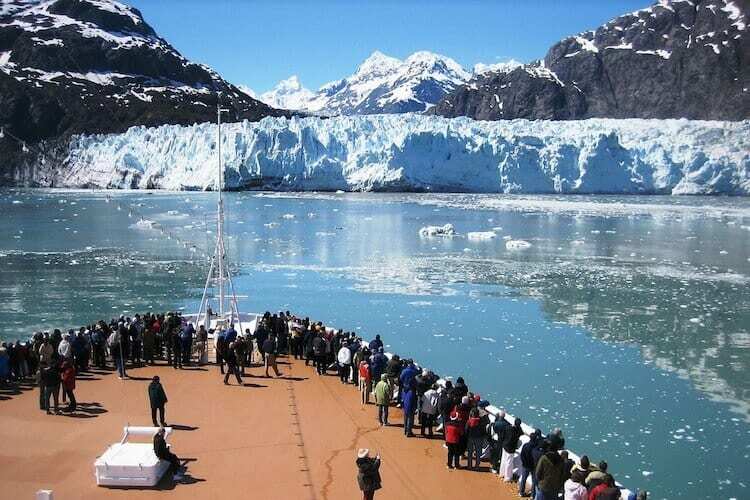 During your cruise, there are many excursions unique to Alaska. You can hike a glacier, go whale watching, go on a seaplane ride, or get uncomfortably close to bear that will barely notice you as they focus on catching the salmon swimming by. If you enjoy fishing, you can’t leave Alaska without catching a salmon of your own. Alaska cruises only run during the summer season from May through September. 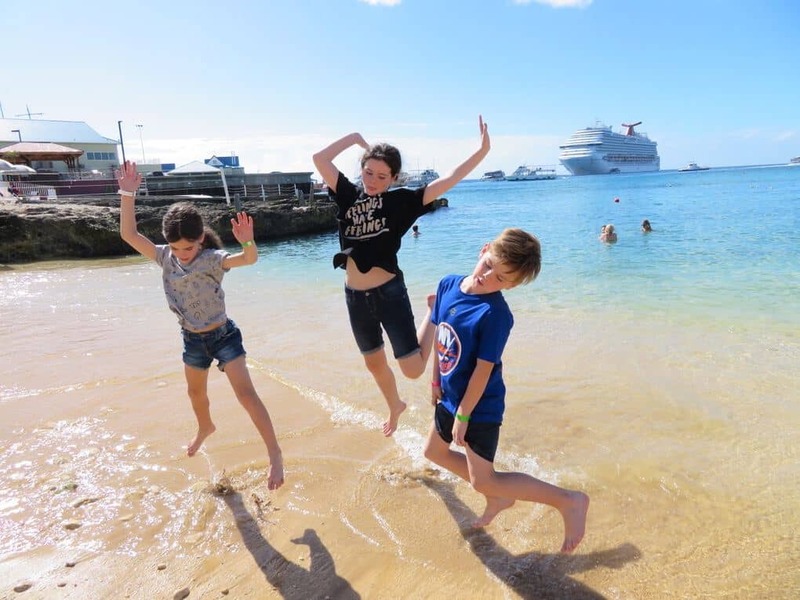 For us, cruising is about making memories and a lot of that comes from experiencing very different cultures to the European ones nearer home and achieving lots of firsts on a trip. South America gave us a first trip to the continent and, indeed, a first trip south of the equator. 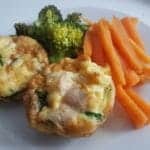 Our experiences included watching whales migrate alongside the ship en route to the Falkland Islands, having a dolphin accompany our tender boat one day, seeing an albatross hover by the promenade deck, rounding Cape Horn, riding a chairlift up a volcano, taking a steam train to a vineyard, walking among a penguin rookery; the list goes on and on. Culturally, South America gives you countries that in recent history were run by dictators. That subsequent sense of freedom shines through in the people who were universally welcoming. 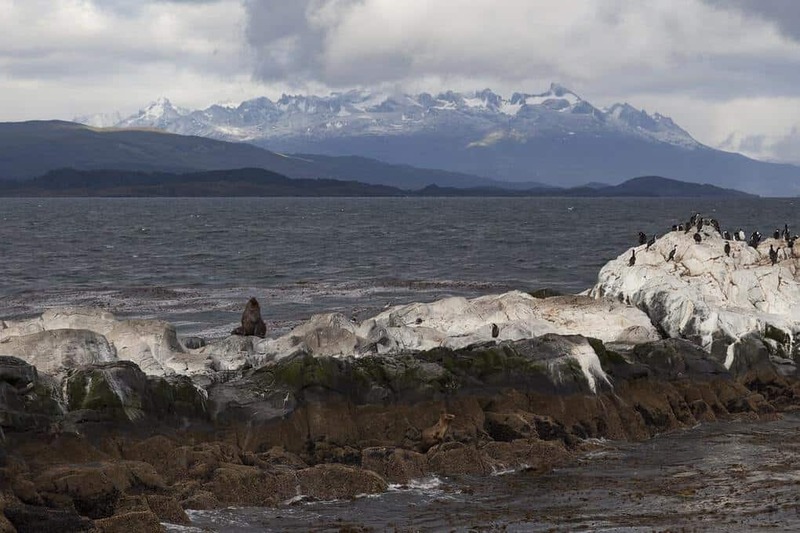 Landscapes shift from the metropolitan capitals of Argentina and Uruguay to the vast, barren expanse of Patagonia to the majestic mountains that ring Ushuaia to the glaciers of the Chilean fjords. The staff aboard were the best we’ve had the pleasure of cruising with and this trip had a little bit of everything. I wouldn’t hesitate to recommend it. 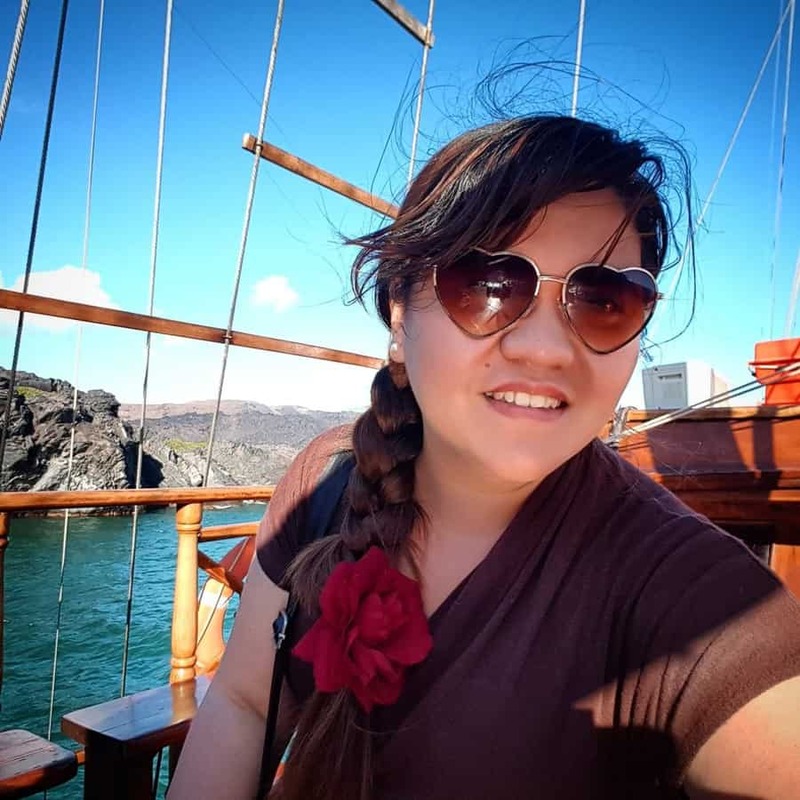 We don’t typically do big cruises, but one of our favourite smaller cruise experiences that we ever had was recently in the Galapagos Islands of the coast of Ecuador. 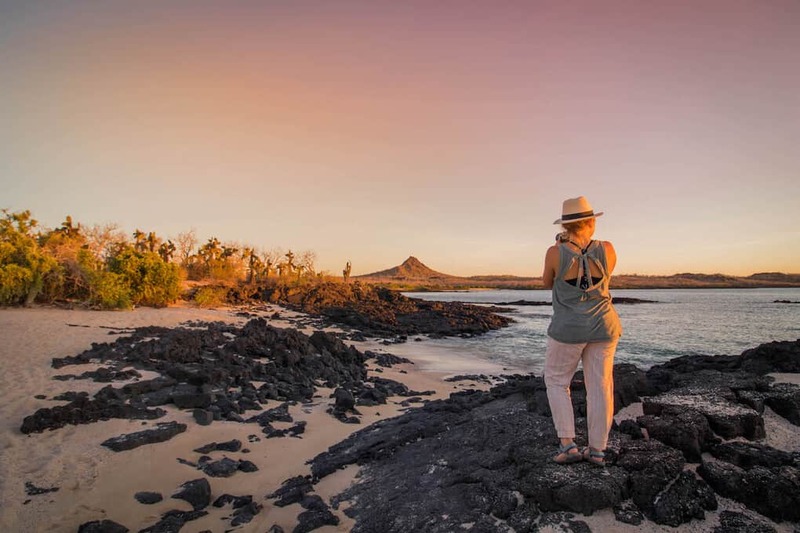 The Galapagos is a unique destination known around the world for the splendid wildlife and harsh ecosystem. Although it’s very expensive to visit and experience, it’s a once in a lifetime opportunity to be shared with wildlife enthusiasts. Galapagos cruise ports of call vary from itinerary and length of the trip. But they all encompass a few of the islands. My favourite to visit was Isabela Island where you can go snorkelling with sea turtles, penguins, and loads of fish. There are many tour operators to take you around the Galapagos. We went with the oldest in the business, Metropolitan Touring. The Ecuadorian company sure knows how to do these tours right and we will always look back on the amazing time we had with them. We took a 3 days’ luxury cruise with the Samata live aboard yacht in the Komodo National Park with a focus on snorkelling and scuba diving. The yacht itself is stunning, 42 metres in length, with 3 decks and a capacity of up to 10 people. For us, this was the best scuba diving we’ve ever done as this was right in the heart of Indonesia’s Coral Triangle – rich with underwater wildlife. The area is also home to the Komodo Dragons, the largest living species of lizard on Rinca Island. They grow up to 2-3 metres in length and gained the nickname of Dragons because of their dragon-like appearance and aggressive behaviour. Our cruise started from Labuanbajo on Flores Island and took us to small islands in the Komodo National Park like Rinca island where we docked to scuba dive and to lounge on the nearby beach. Situated in the North East of Vietnam, Ha Long Bay is known for its beautiful turquoise waters and grand limestone islands which tower out of the water. Along with other areas of natural beauty like the Amazon Rainforest and Table Mountain in South Africa, it is one of the New 7 Wonders of Nature and it has been a world heritage site since 1994. The only way to really visit Ha Long Bay is onboard one of the many junk board cruises. These boats take you around the most interesting islands, like the Stone Dog and Teapot islets, and organise tours to attractions on the bay. Typical activities include kayaking, morning yoga, swimming, cookery classes, night fishing, and as a visit to one of the many floating villages like Cua Van. The cruise boats vary in terms of cost and in terms of luxury, but most offer a 2-night and 3-day experience of Ha Long Bay complete with food and drinks. 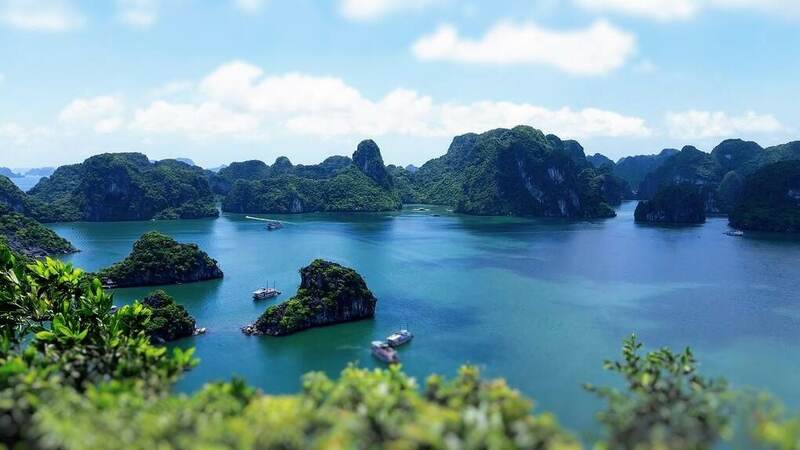 The experience is definitely touristy, and the whole of Ha Long Bay is awash with different mini cruises but there are no real alternatives for most visitors and this is the only way that most people can get to experience Ha Long Bay. A couple of months ago I was lucky enough to cruise from Singapore – Tokyo onboard the Golden Princess. It was without a doubt my favourite cruise of all time (I’ve been on 15). I would recommend it to everybody! 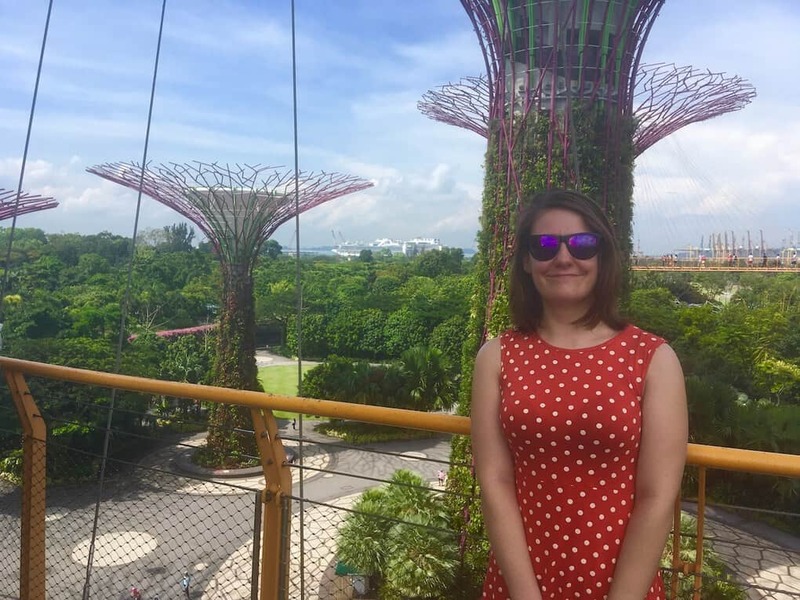 One thing I particularly love about Asia is that you don’t have to take organised excursions. Even if you just wander around the streets you will find a million things to keep you entertained. Around each corner is something interesting. Crossing the road in some places can be an event in itself. Vietnam is well known for the number of scooters they have on their roads and the reality does not disappoint. If you do want to take excursions however there are SO many options for things to do and see. A highlight of mine would definitely be visiting the Gardens by the Bay in Singapore. I had seen the gardens before in photos and videos but it is impossible to comprehend the scale of the sky trees until you are stood below them. A cruise provides the perfect introduction into to Asia. You’re able to cover a lot of land in a relatively short space of time. Allowing you to decide which countries and places you’d like to return to explore more. Rivers don’t get much more iconic than the Mekong. 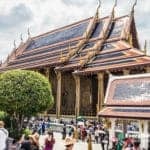 One of the more interesting stretches of the Mekong is located in southern Laos and a short cruise (Mekong River Cruises)is a great way to see it. 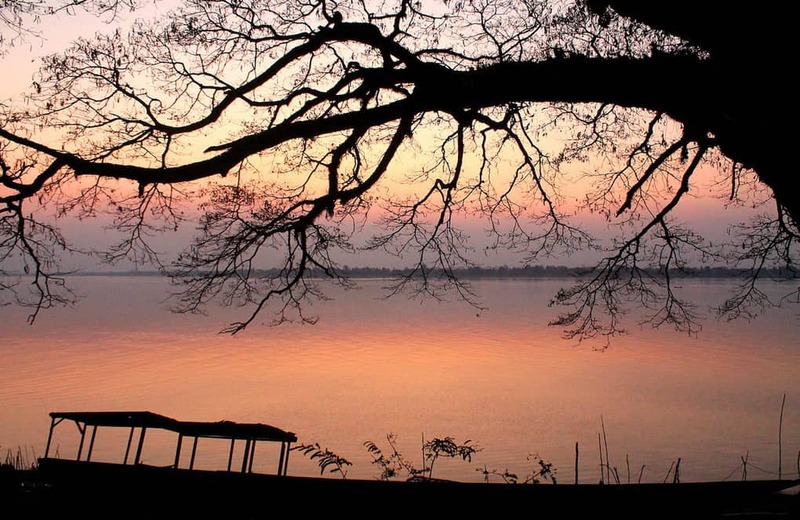 Starting in Pakse, the journey takes you through the 4000 Islands, an area of great natural beauty as well as some relics from Laos’ French colonial past. You’ll see the largest waterfall in Southeast Asia (Khone Phapheng Falls), beautiful island scenery and local riverside life. Another highlight is Wat Phu, a Khmer era temple comparable in looks and detail (if not size and scale) to the Angkor temples in Cambodia. The boat itself, an old teak transporter, is comfortable and only features a small number of rooms – this definitely isn’t a mass tourism kind of cruise! It’s a good idea to stay in the area a little longer (this cruise is only three days) and chill out on Don Det, one of the biggest islands in the region. There are amazing sunsets on offer and it’s a very affordable place to spend a few days. You can cycle to the next island over to see another waterfall and then take a boat trip to spot rare Irrawaddy dolphins. The South Pacific is home to tropical palm-fringed beaches and fascinating cultures. 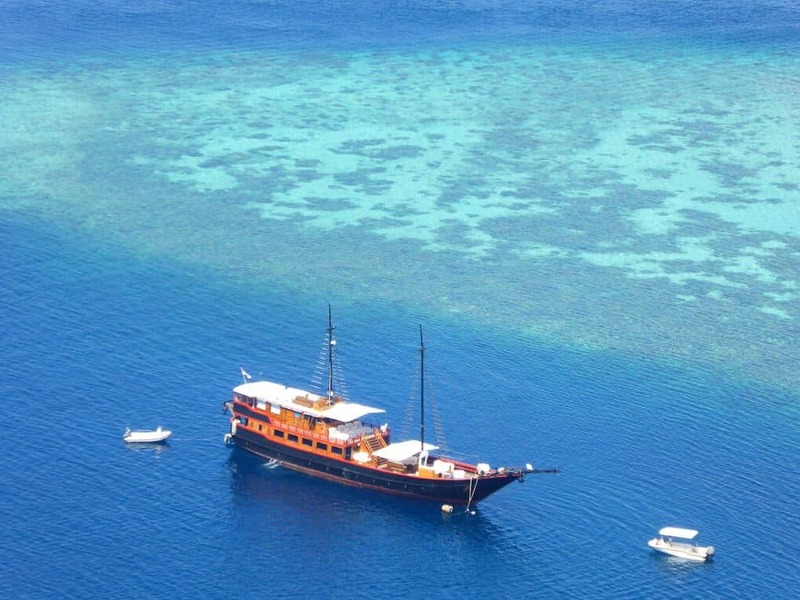 It is an ideal region to explore by cruise ship, visiting countries like Fiji, Vanuatu or Tahiti. On our week-long Royal Caribbean cruise out of Sydney, Australia, we stopped at Mare and Noumea in New Caledonia. This overseas territory of France has a charming mix of Pacific Island culture and delicious French food. Yejele Beach in Mare is one of the most stunning beaches in the world with incredible turquoise water. We snorkelled, swam and soaked up the sunshine. While in Noumea we toured cultural and historic locations like Notre Dame du Pacifique, a unique open-air church. And in between all that sightseeing, we indulged in delicious food on board – loved the 1950s diner Johnny Rockets! – and kept active with endless fun activities. Rockclimbing at sea was absolutely incredible, as was wobbling around the ice rink trying not to fall over. Surf simulator FlowRider was entertaining to watch, but even more, fun to try. Although the mini golf was more my pace! Read more about taking a South Pacific cruise here. Wherever your next cruise destination will be, have a lovely time onboard! Do you have other best cruise destinations that you reckon should be included in this list? Comment below and we love to know more about it! I always wanted to have a cruise trip but it never happens. 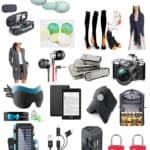 Thanks for sharing this awesome list!